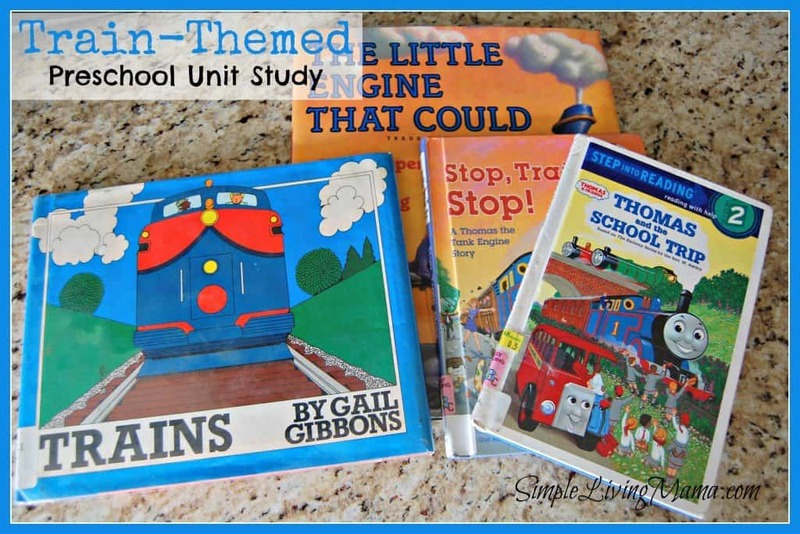 While I know that unit studies aren’t part of a Charlotte Mason education, I decided to introduce some activities themed around favorite books in our house. Bug has really become interested in writing, cutting, pasting, and all of those more worksheet-based activities. So, I put together a train-themed preschool unit for our homeschool preschool. So, we went to the library to find some train-themed books. My kids love The Little Engine that Could. I found a book on trains that explains the parts of the trains and Bug just loves it. I also picked up a couple of Thomas the Train books. As a treat later in the day, we watched The Little Engine that Could on Netflix and the kids adored it. I love that there are so many free printables online that you can use in your homeschool. All I did was google “free train preschool pack” and I found an awesome pack. 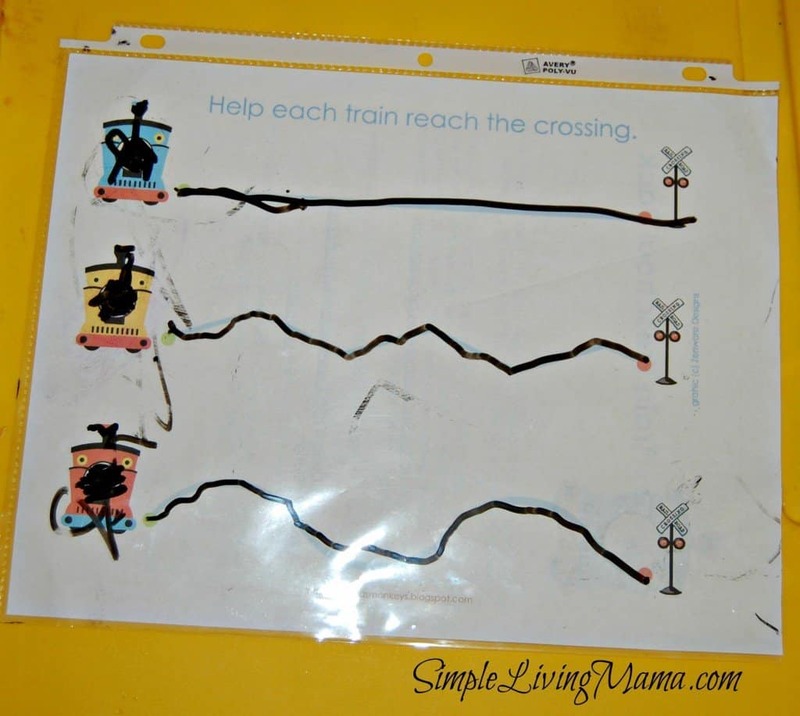 I downloaded the Trains Preschool Pack from teachersnotebook.com and we were good to go. Bug practiced tracing, writing letters, cutting and pasting, rhyming, number correlation, counting, and letter identification. I was impressed! I laminated some of the pages so we could do the activities more than once and I just let Bug go ahead and complete some of the pages. The tracing pages were put into page protectors so he could use dry erase markers and also so Sis could “practice,” too. We have a Thomas the Train track that we set up and played with. I’m working on expanding it with a cool train table and accessories. Maybe next Christmas! 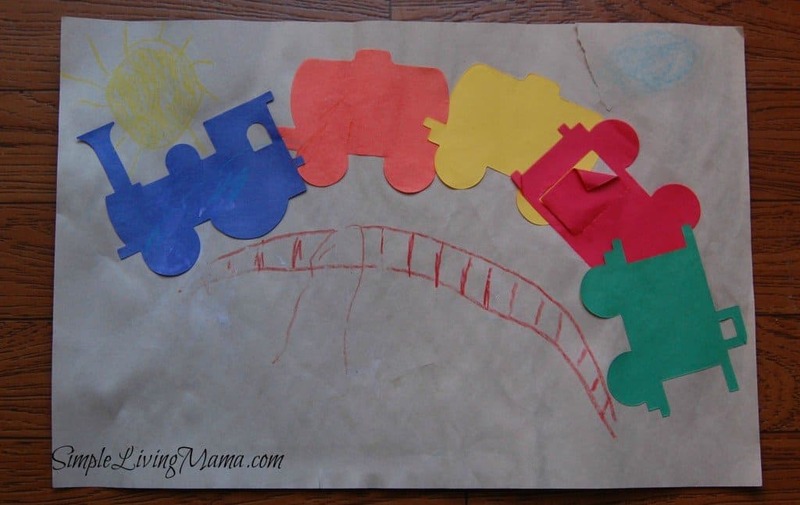 Our library recently had a train-themed story time so we went and the kids did a fun train craft. We used it to talk about the engine, the train cars, and the caboose. The letter we focused on was the letter T. Bug already knows most of his letters and sounds, but we still reviewed it and I introduced him to the difference between capital and lowercase letters. We had fun coming up with words that begin with the letter T.
And that was it. Lots of reading, practicing skills with printables, and playing with toy trains. Bug is fascinated by them! 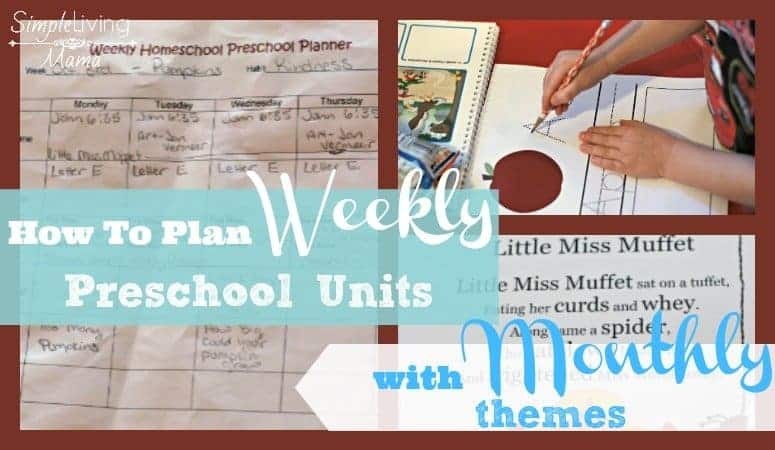 Want to learn how to plan your own homeschool preschool curriculum? Sign up for our free eCourse! If you enjoy this post you can keep up with all of our posts on our Facebook page! His Nana loves trains too. When I was a child growing up, we live in a house close to the train tracks. I knew when the train would come by each day. (we lived in a small town) I would wait to waive at them as they went by and one year I will never forget on Valentine’s Day, the Engineer stopped the train and came over and gave me a heart box of chocolate candy. I was so excited. I couldn’t wait to go into the house to tell my Mommy. I guess that is why Trains have always stayed with me, even now that I am a great grandmother. Of coarse I was a girly girl so I still loved my dolls. So when I had children and they had children I always started the boys out with a train and the girls with dolls. Some of the grandchildren were not as excited as I was nor my children but they made me think they loved them all as much as I did. Days long gone, but still in your mind. Happy memories! 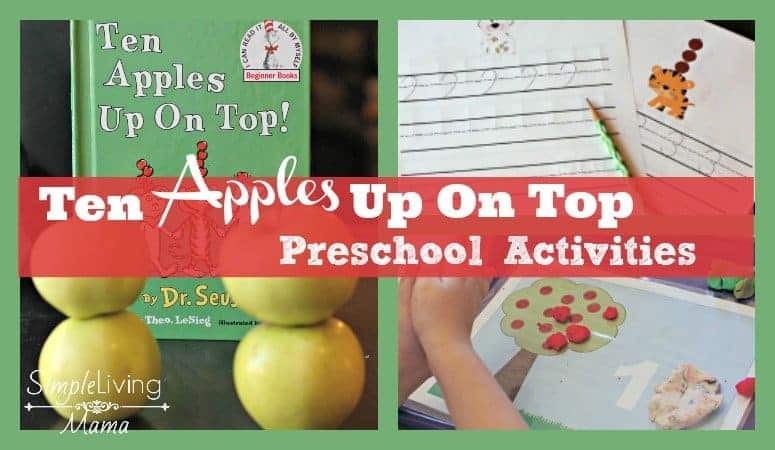 What a fun collection of activities and books. 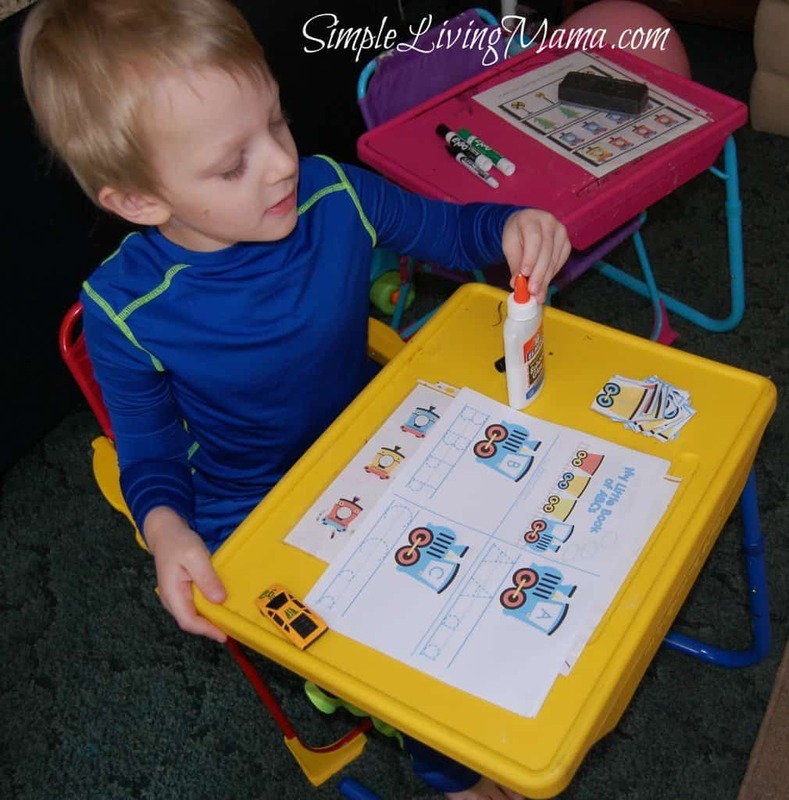 Bekki@a better way to homeschool recently posted…Your Boys Do What? Thank you for these activities and book lists! Makes a difference when you have detailed info in advance.